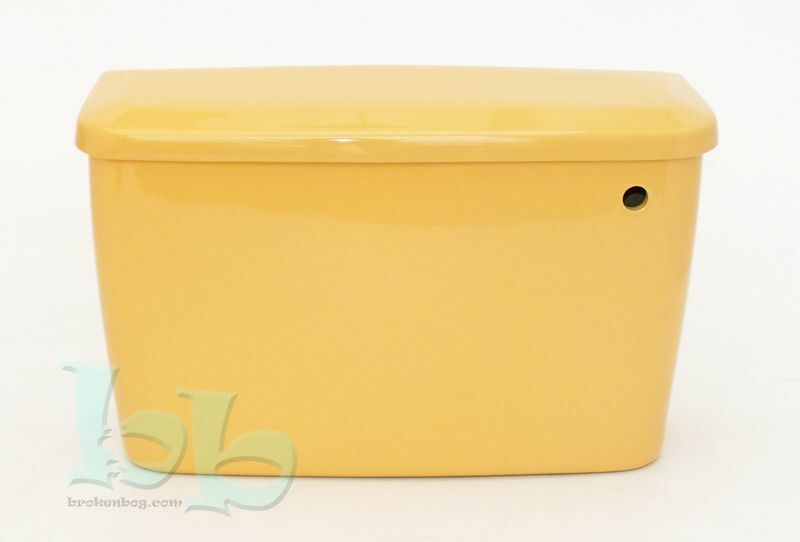 Harvest Gold BIBO (bottom inlet bottom overflow) toilet cistern body (tank) and lid suitable for close coupled or low-level installations. 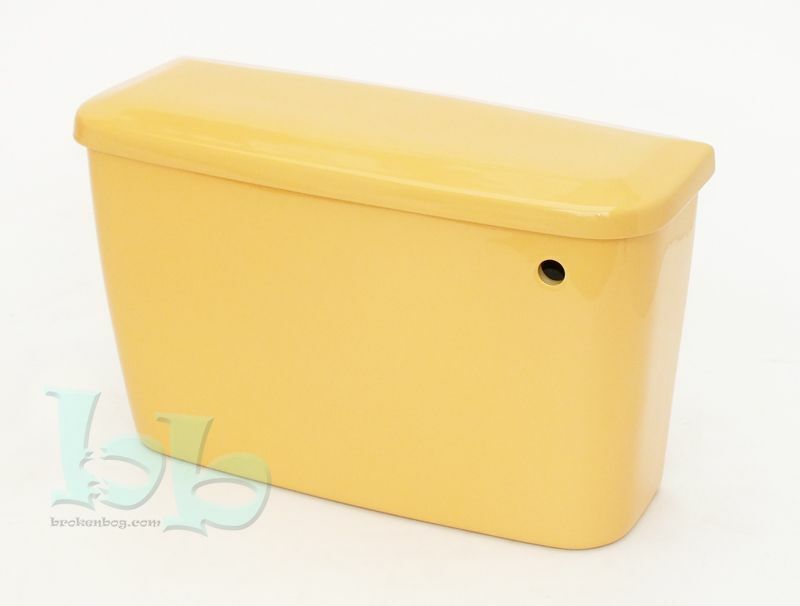 This Harvest Gold coloured cistern makes a suitable replacement for many makes and models of WC cistern from manufacturers such as Doulton/Allia, Ideal Standard, Twyfords, who produced this fabulous colour in the 1980's or can be mixed to create a funky up to date new bathroom installation. These are brand new reglazed vitreous china items, fully compliant with current UK water regulations, made in Great Britain exclusively for Brokenbog.com.